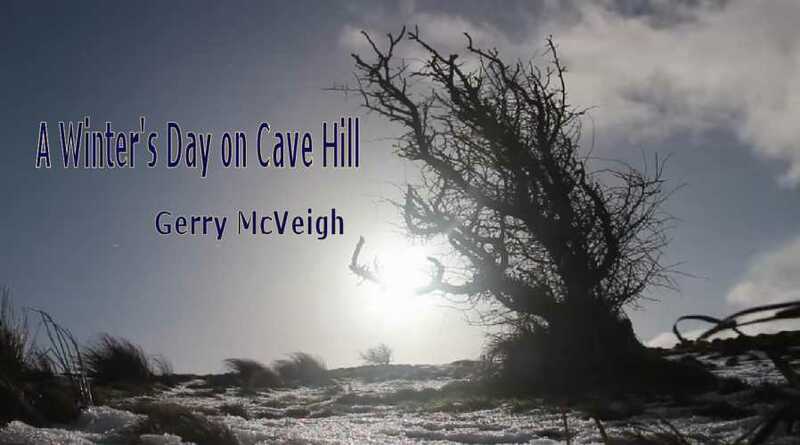 If you have any notion of heading up Cave Hill you really need to watch Gerry McVeigh's YouTube film - A Winter's Day on Cave Hill. Now I better tell you that this is ART from beginning to end. It's just beautifully filmed. The guy is getting better and better. The filming which took place on New Year's Eve involves acute observation and careful composition. Meanwhile for something completely different. Belfasti Tours have produced an old fashioned info film full of archaeology, history and interesting facts. Called Napoleon's Nose by the locals, Dean Swift was inspired by the shape of a giant's head on the hill to write Gulliver's Travels. Numerous Stone Age artifacts have been found on the hill, including flint arrowheads. The summit cairn is believed to be a neolithic burial mound 5000 years old. The remains of several ringforts (raths) can be traced on the hill. A stone cashel on the summit used to house both families and their livestock. There are five ancient man made caves on the hill from which its name derives. Wolfe Tone and his supporters met at the summit to pledge their troth to the cause of Ireland. MacAirt's summit fort can still be seen. It was the site of the coronation seat of the O'Neills of Clandeboye.